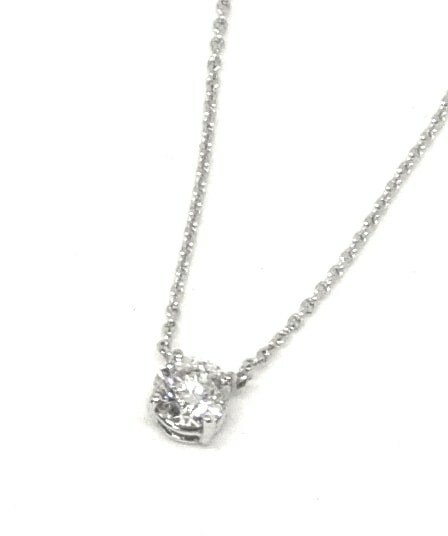 Classic diamond pendant, Ethan Lord quality: excellent cut & polish. E-G / SI3-I1. Diamond is .57ct. Classic diamond pendant, Ethan Lord quality: excellent cut & polish. E-G / SI3-I1. Diamond is .57ct. 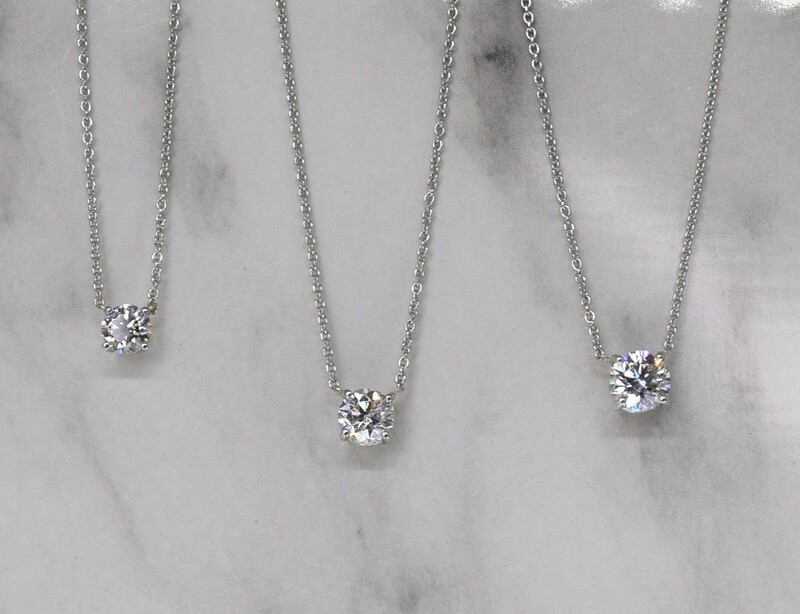 14k white gold pendant is affixed to a 16" white gold chain for a "floating" effect. Perfect for every occasion. Lobster clasp.